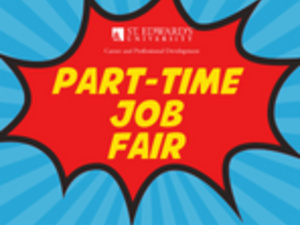 The Part-Time Job Fair is a great chance for Hilltoppers interested in part-time employment (both on-campus and off-campus) and internship opportunities to interact with employers. The Part-Time Job Fair typically hosts approximately 30+ employers with part-time and internship openings. So get your resumes ready!